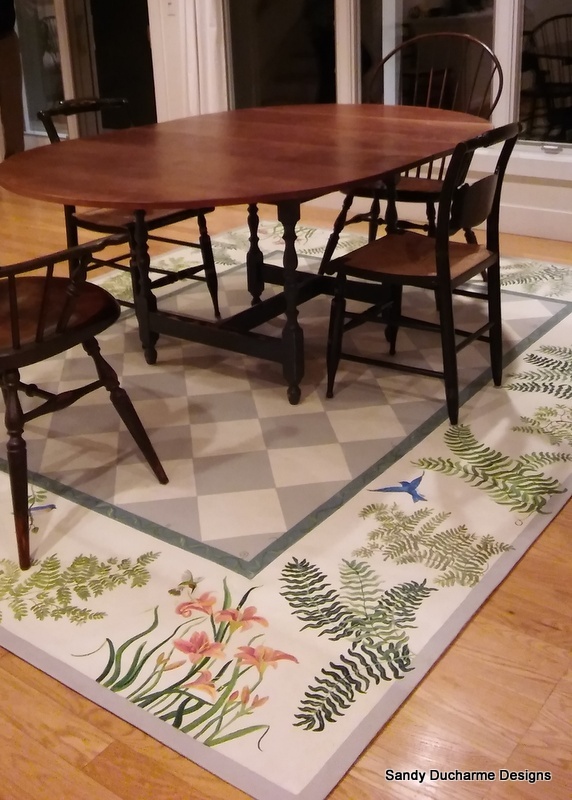 Sandy designs custom hand-painted floor cloths and hand hooked rugs. Handcrafted designer floorcloths (hand-painted) for dining rooms, living rooms, kitchens, baths, and much more. A wonderful use of floorcloths is Sandy’s Pet Mats. They are easy to clean and last for years under a pet’s food and water dishes. Sandy also designs and creates hand hooked rugs. She dyes her own wool, and designs most of her patterns. Sandy offers hooking and dyeing classes.